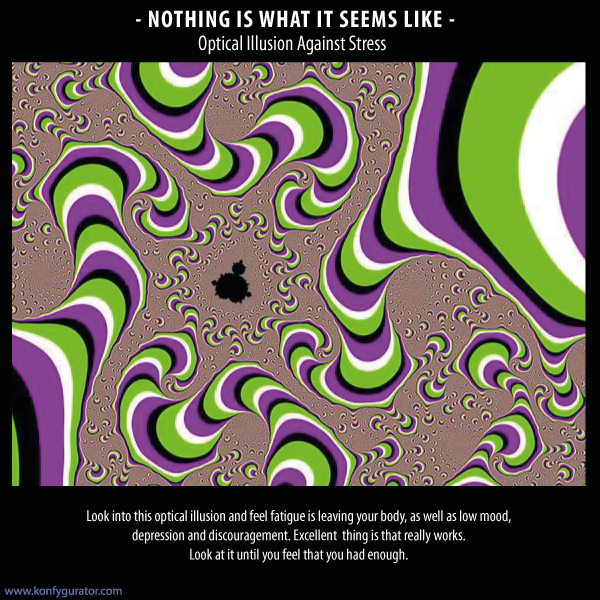 Look into this optical illusion and feel fatigue is leaving your body, as well as low mood, depression and discouragement. Excellent thing is that really works. Look at it until you feel that you had enough.